Website, FTP, and web users' content. 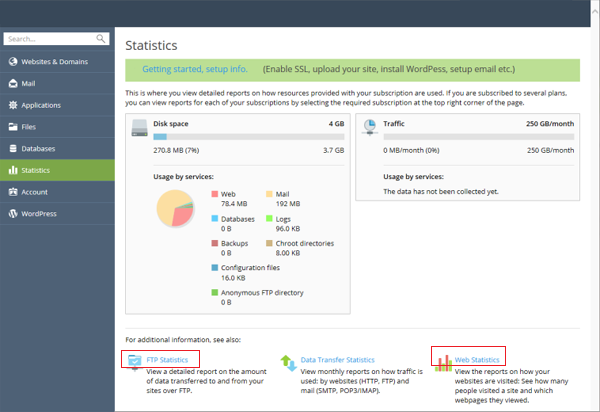 View disk and bandwidth usage with links to web and FTP statistics. Click on the Statistics link in the left menu. Note: Enter your control panel user name and password to view web and FTP stats. View disk usage for email accounts. Click the mail tab in the left menu to view individual email account disk usage. The "of unlimited" next to usage is the mailbox limit. Total account usage limits apply. 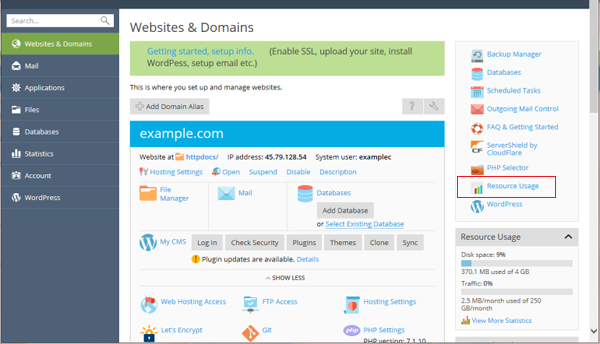 View individual disk and traffic usage for more than one site/domain. Go to the web sites and domains link on the left. 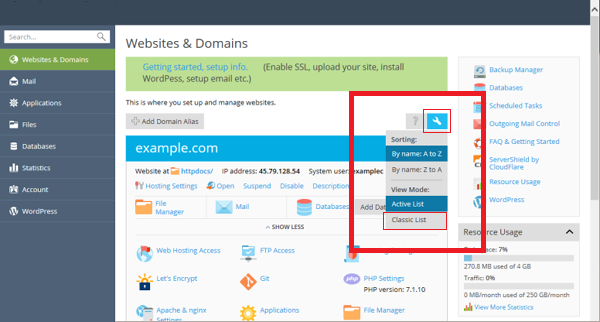 Click on the Domains List Settings wrench icon in the top right. Select "Classic List" from the drop down. View CPU and memory usage. Go to "Websites & Domains" in the left menu then click the "Resource Usage" link in the right menu.